Looking for some fun games to get your kids off their electronic devices? ThinkFun has a huge selection of games and puzzles that are fun and educational too! Pull it, Bend it, SOLVE IT! Stretch your mind with this unique logic puzzle featuring Crazy Aaron’s Thinking Putty®. 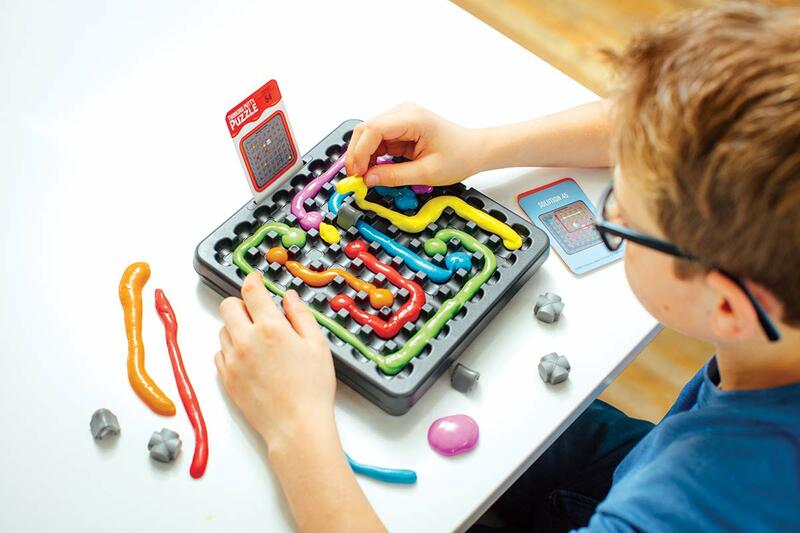 Each of the 60 beginner-to-expert level challenges will put your spatial reasoning skills to the test as you attempt to connect the dots for all 6 Thinking Putty colors on the Puzzle Grid. Be sure to read my post on ThinkFun Games HERE. 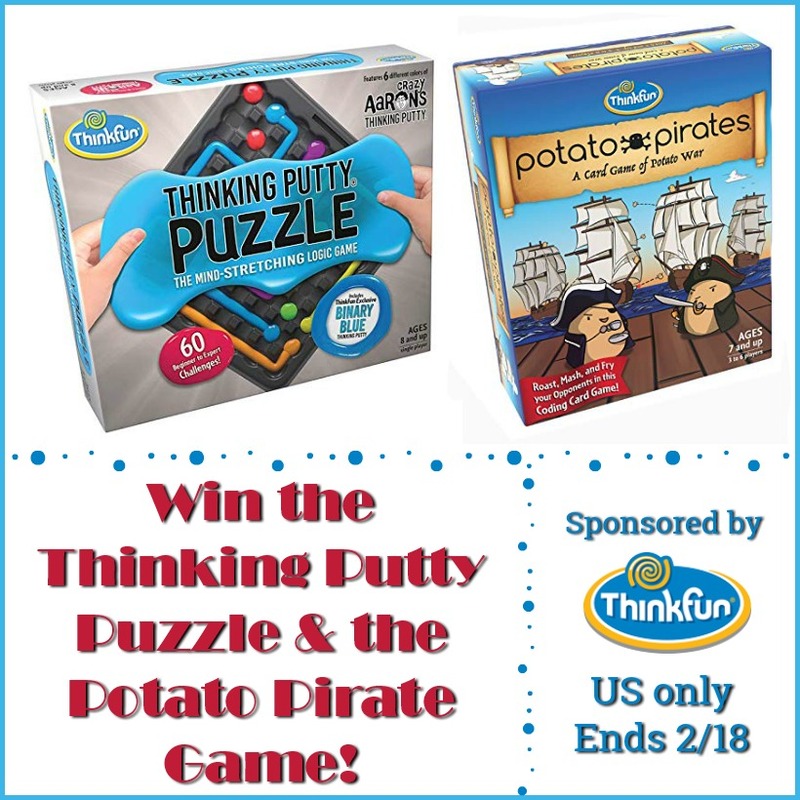 One lucky reader will win Thinking Putty Puzzle and the Potato Pirate Game!